This cruise wrap is probably one of the best we’ve ever done. In light of this, we asked if we could be given a month off to go on an extra-long cruise. Our boss said no. Dream Cruises has released details of the upcoming Australia and New Zealand deployment for the newest member of the fleet – Explorer Dream. Formerly the SuperStar Virgo of sister brand Star Cruises, Explorer Dream will undergo a US 30 million dollar transformation in March 2019 to become one of the Dream Cruises fleet. 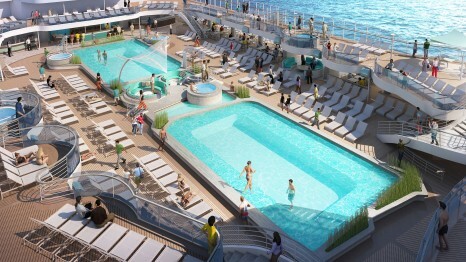 Facilities will include The Palace, Dream Cruises’ signature private enclave featuring 50 suites and butler service. Guests will also enjoy all new food and beverage options and a new Crystal Life Spa for pampering and relaxation. Superstar Virgo has graced Australian shores before, with two previous visits. The first was in 2003 when SARS swept through Asia – Superstar Virgo carried over 220,000 guests, helping the Australian cruise industry stay afloat during a challenging time. She was back again in 2015 for an eight-week deployment, securing a place in the hearts of many Australian cruisers. There has already been plenty of interest from loyal guests eager to experience the transformation for themselves. From October 2019, Explorer Dream will homeport in Sydney, where she will embark upon a series of seven-night itineraries cruising north to Queensland and the Barrier Reef (Newcastle, Gladstone, Sunshine Coast and Brisbane), plus south to Victoria and Tasmania (Eden, Phillip Island, Burnie, Port Arthur, Hobart and Melbourne). 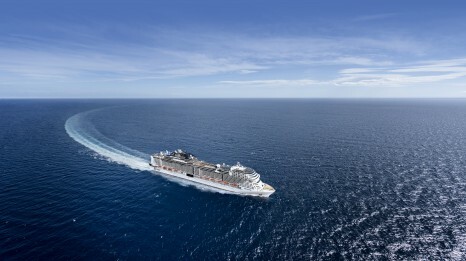 MSC Cruises – the Swiss-based world’s largest privately-owned cruise line and brand market leader in Europe, South America and the Arabian Peninsula – has announced the opening of sales for MSC Virtuosa, spending her inaugural season in the Western Mediterranean from 8th November 2020. Sales are initially open exclusively for MSC Voyagers Club members, as one of the many benefits of the programme that rewards loyal MSC Cruises guests. For all other guests, sales will open on December 3rd. This ground-breaking class of ships has been designed to be rich in onboard features and MSC Virtuosa will be no exception, offering MSC Cruises guests a wide range of entertainment, dining, relaxation, shopping and other features as well as the MSC Yacht Club “ship within a ship” concept for those seeking exclusivity and luxury within a world of choice. Princess Cruises has revealed a suite of new features onboard the fleet’s newest Royal class ship Sky Princess, which sets sail in the Mediterranean and Caribbean from October and December 2019. Newly announced features include a redesigned Sanctuary, counting more private cabanas than ever before, and a new entertainment offering – the Take Five jazz lounge. The Sky Suites. A new accommodation option offering more living space and boasting Princess’s largest balcony at sea with 270-degree views and special services provided by the nearby Sanctuary’s Serenity Stewards. Featuring two bedrooms and bathrooms with direct balcony access and a dining area with a sky-light to the stars, Sky Suite guests will also enjoy a unique Movies Under the Stars viewing experience form each suite’s private vantage point. A comprehensive array of complimentary Suite services will also be offered. Award-winning entertainment offerings, including new jazz lounge Take Five. World-class dining with more than 25 restaurants and bars onboard. From the World Fresh Marketplace to guest favourites Crown Grill and Crafted by Curtis Stone, Sky Princess also includes Sabatini’s Italian Trattoria, offering the Northern Italian flavours of Chef Angelo Auriana. Redesigned Sanctuary with eight private cabanas – offering an adults-only area for rest and retreat. 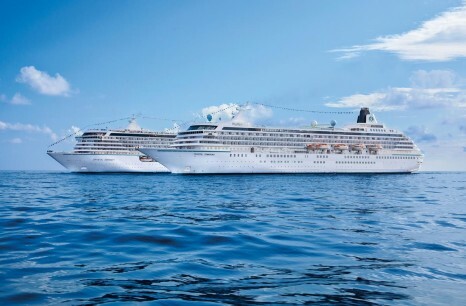 Luxury travellers can pursue their favourite passions and create new ones as they travel the world with the World’s Most Awarded Luxury Cruise Line, as Crystal Cruises unveils its expansive roster of theme cruises for the next three years. The 2019, 2020 and 2021 Experiences of Discovery voyages will present enhanced programming in specialised subjects, featuring special guest lecturers and instructors for interactive sessions on board, as well as experiences ashore that further enhance the immersive voyages. Several of the line’s all-inclusive luxury sailings will feature programming for more than one dedicated theme, allowing guests to further expand their interests. Luxury travellers expect to be enlightened and stimulated as they explore the world with Crystal, and the ‘Experiences of Discovery’ offer opportunities for them to broaden their horizons even further. Carnival Cruise Line has recently been voted the #1 cruise line for its sailings to the South Pacific from Cruise Critic Cruiser’ Choice! There’s no better way to celebrate, than with a #1 TO THE FUN sale, giving Aussies the incentive to book their next fun-filled adventure to the South Pacific with $600 onboard credit per cabin + 50 per cent reduced deposits per person. This promotion is only available to book from today until 17 December 2018 on sailings between 23 November 2018 and 30 December 2019. Aussies can take advantage of this amazing deal and choose to cruise to a number of beautiful destinations in New Caledonia and Vanuatu. 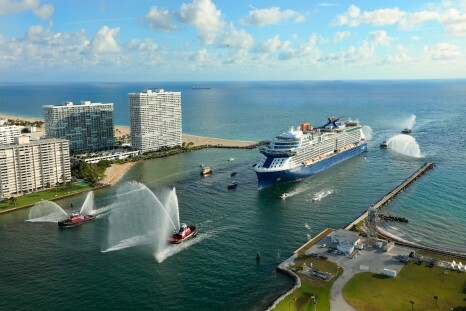 The game-changing Celebrity Edge has officially arrived at the new home of modern luxury – Port Everglades’ Terminal 25 (T25) in Hollywood, Fla. – following the ship’s first-ever, 15-day transatlantic crossing. Brought to life in collaboration with Broward County’s Port Everglades, Bermello Ajamil & Partners, Inc. and Moss Construction, T25 melds a stunning, warmly inviting design with unique technology, such as Expedited Arrival, which will make the check-in process absolutely seamless, as well as an interactive light wall art installation. T25 will also offer The Retreat guests a singular experience along the path to The Retreat, with an exclusive lounge, elevator lobbies, screening areas and even a private rooftop terrace. Aqua Expeditions will increase its fleet size by 150 per cent and add new geographic locations over the next two years. The expansion of Aqua Expeditions has been made possible by a USD28 million capital injection by Bison Capital, emphasising the private equity company’s confidence in the vision of Francesco Galli Zugaro who will remain Aqua’s majority shareholder and fully in charge of the company’s destiny and growth. The first details of new vessels and routings will be announced later in November. 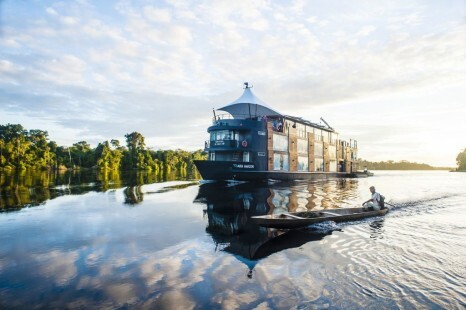 Since being founded in 2008, Aqua Expeditions has earned a reputation for bringing five-star luxury to river cruising in remote areas and the identical level of lavishness and adventure will be featured throughout the company’s expanded fleet and routings. 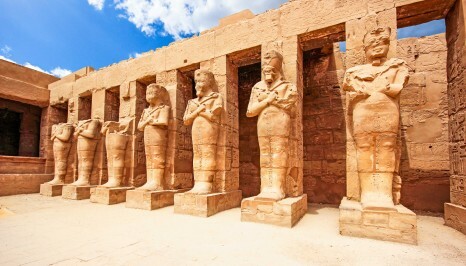 Viking has released a number of new departure dates for its popular 12-day Pharaohs & Pyramids Egypt river cruise-tour itinerary. Departing between August 2020 and December 2020 onboard MS Antares, prices start from $7,595 per person in a French Balcony stateroom category. Earlier this year, Viking made its Silver Spirits beverage package available onboard the Pharaohs & Pyramids river cruise for the first time. Guests can now purchase this package and gain access to unlimited premium wines, beers, cocktails, juices and soft drinks for the duration of their cruise for just $200 AUD. 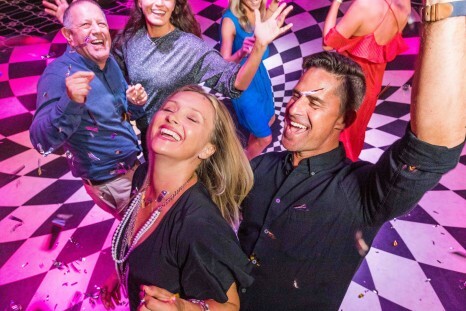 The decade of big hair, fluro shirts and electric music will live on with P&O Cruises Australia’s new 1980’s Tribute Cruise, and guests can also rock out at the cruise line’s first Country Music Festival at Sea. The new 1980s and Country themed cruises form part of P&O’s new 2020 program and have been selected in response to a growing demand from Australian holidaymakers for short breaks. Since 2012, the number of guests enjoying a three or four-night P&O Cruise has tripled. This year the cruise line introduced 10 more short breaks to the market – 117 in total which is up from 107 in 2016. The trend for shorter getaways is supported by data from Kantar which revealed more than half of Australians who travel domestically would choose a short break no longer than three nights.